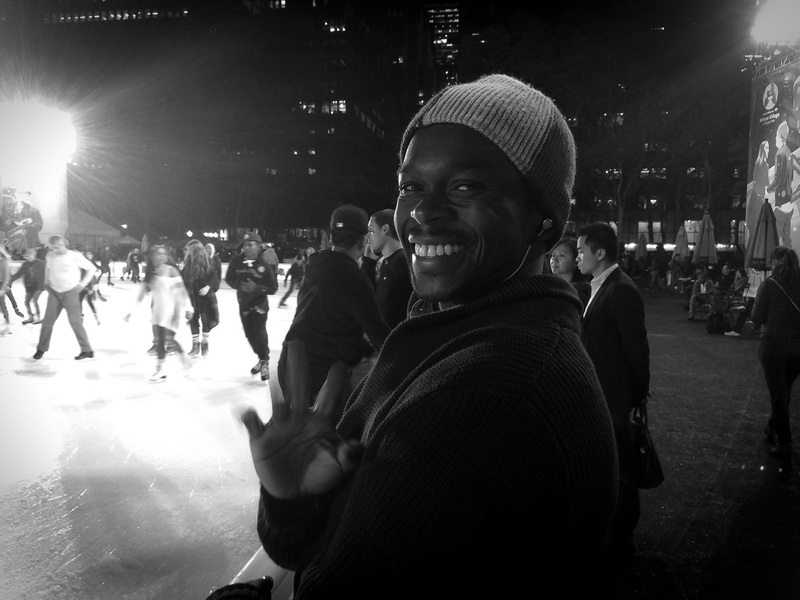 Street portrait at Bryant Park ice-skating rink on 42nd St, aka Bank of America Winter Village! Bright lights, bright smile, blow the highlights! Warm shot in the middle of winter. I bet making that one felt good. They always do. Yes, thank you Allan, it was great fun! Good reminder of how fun the city can be even in the winter freeze! That’s for sure, thank you Gill! What a smile. The winter cold can really bring out the warmth in people. and melt the coldest hearts! Thank you so much Julie! Ice skating and herring eating is waht I miss more than anything. That bloke got a really great smile. He did it for you as well. Not exactly the land of ice skating and herrings where you are now is it Gerrard . . . happy memories though! I found myself smiling back as soon as I saw that great smile! Wonderful photo! Great to hear, thank you Alison! That smile can blow the highlights any day! Love this photograph, Patti! You couldn’t have captured a more beautiful smile…and the lights and effects on the ice – awesome! Thank you so much Robyn, his smile was such a bonus! Great Portrait Patti! Considering how cold it is in NY I’m amazed at the general state of undress – or has there been a sudden heatwave? Thank you Martin. I took this shot before the big freeze. It’s warm (ish) again now but sleet and snow due in late tonight but I am often amazed at the state of undress even in the most bitter weather. I just assume they are visitors from Canada! That smile is the highlight. Great Portrait Patti. A smile is the best make up. Great words, thank you so much Stefan! Absolutely brilliant (no pun intended)! Great shot and damn the highlights!! Thoroughly appreciate your fine words of wisdom, thank you DW! You inspire me with your seemingly “in their face” photos. What astounds me is the joy and openness they share; not turning away or annoyed. Bravo, Patti! Would love to watch you in action! I think it’s a mood thing Annie – I enjoy being out at night even if it does drive Mr Kuche nuts when we are out together. Let me know if you ever get to NYC, we can have some fun! Really, blow the highlights! Great photo!! They blew! Thank you Angeline! So much warmth in this shot. Oh that smile! Brilliant capture! Wasn’t I the lucky one! Thank you Susan! Making the best of the season! Nice, Patti. That’s a great warm smile and connection with your subject Patti ! Wonderful beam . What a smile! Someone that just seems like a great character. Great job capturing his spirit and personality. You captured a great smile! Brilliant shot Patti, brimming with life and light..